This position aims at developing an understanding for the formation of microplastics from macroscopic plastic parts and its further decay. 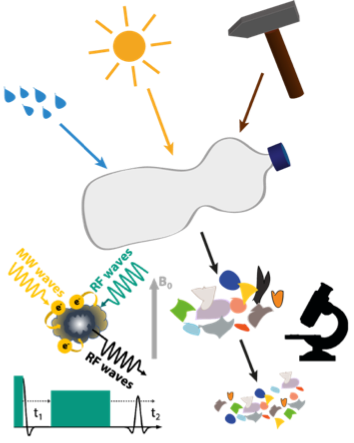 A suit of plastics will be weathered by exposure to UV radiation, water and mechanical forces and will be analysed according to changes within structural, morphological and mechanical properties. Candidates require a M.Sc. degree in chemistry, physics or material sciences, the ability to think analytically and the willingness to become involved in complex spectroscopic methods. This position aims at understanding adsorption processes of natural ingredients within aquatic envi-ronments like iron/aluminium hydroxides and humic acids on microplastic particles. 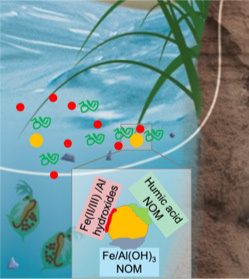 Analytical techniques from aqueous and colloidal chemistry including solid-state NMR will be used to study interfaces and surface interactions. Candidates require a M.Sc. degree in chemistry, physics or material sciences, the ability to think analytically and the willingness to become involved in complex spectroscopic methods.